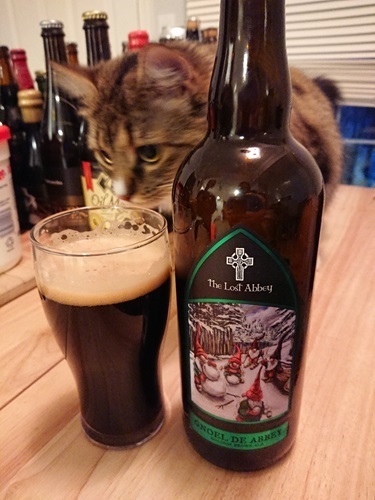 Gnoel de Abbey is a winter warmer brewed to be lighter in body while maintaining nuanced notes of oak. Beginning with aromas of freshly brewed espresso, Gnoel has hints of cocoa, vanilla and holiday spice, finishing with a crisp coffee bitterness. Holiday Brown Ale.